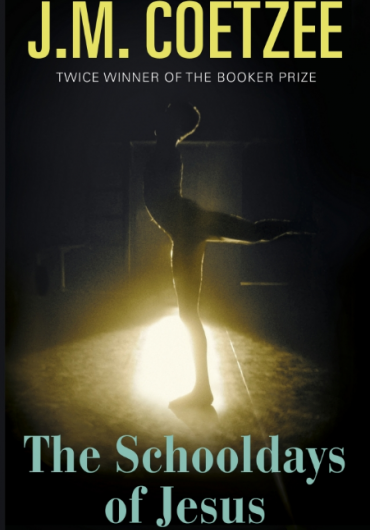 When I first heard that J M Coetzee’s follow-up to The Childhood of Jesus would be The Schooldays of Jesus, I did momentarily wonder if it was a spoof rather than a sequel, an attempt to infuse Coetzee’s work with the unlikely spirit of Adrian Mole – The Secret Diary of Jesus, anyone? In fact, not only does the novel exist, but it follows directly from its predecessor with Simon, Ines and David, arriving in Estrella where, at the end of Childhood, they plan a “new life”. David becomes infatuated with the Dance Academy, and Simon becomes less important to him. Part of that infatuation is directed towards Dmitri, a caretaker at the nearby museum who is frequently to be found at the Academy, and whom Simon dislikes. Ines, too, is colder with Simon (Simon is not David’s father, and, though Ines claims to be his mother, this is based on Simon’s insistence that he saw them together when they arrived as refugees; like all refugees they have no memory of the time before). The key question (as with Childhood) is what on earth are we meant to make of it all? It reads like allegory, albeit one where the key has been mislaid. Should we identify David with Jesus? It is made clear that David is not his real name, simply one assigned to him on arrival – and also one inextricably linked with Jesus. Simon and Ines also have Biblical connotations: Simon, one of the apostles, and also the man who carried the cross for Jesus, meaning ‘he has heard’ (which might be particularly applicable given the novel’s conclusion); Ines, the Spanish version of Agnes, a martyred Saint, meaning ‘chaste’, also appropriate for her passionless character. Coetzee can’t resist dropping further hints into the narrative: David, when asked what he wants to be, saying he “wanted to be a lifesaver”; his declaration that he doesn’t “want to be human” – though this in a conversation where he says he wants to be “the kind who takes” rather than gives (of course, even this can be interpreted Biblically). Coetzee seems to be suggesting that some kind of transcendence is necessary in education; that we should go beyond facts and figures. Schooldays are therefore central to the novel; but so is one of Coetzee’s, and religion’s, key concerns: punishment and forgiveness. Having won David’s trust, Dmitri commits a terrible crime. David finds it impossible to condemn him. This is an area Coetzee has explored before, particularly in relation to South Africa, but here he does so relentlessly as Dmitri literally refuses to be forgotten. The novel’s conclusion suggests a shift has taken place; that Simon is now learning from David. When Childhood was released some reviewers complained that David was not very Christ-like, but, even if we are to take the title literally, this surely misses the point: this is the childhood which shapes Jesus, though is suspect Jesus is shorthand for spiritual enlightenment rather than orthodox Christianity. It is the philosophical journey of a child. And, like all childhoods, it has more questions than answers. Since the publication of the previous volume of his fictionalised memoirs, Youth, in 2002, Coetzee does seem to have, in the words of Hermione Lee, given up story-telling, at least in terms of linear narrative. Elisabeth Costello is largely a series of essays (or ‘lessons’) delivered by his eponymous alter-ego; Costello appears again in Slow Man, usurping the narrative as the author of Paul Rayment’s story; in Diary of a Bad Year we are treated to three narratives running along side each other, each in a different voice, the first and second being that of yet another Coetzee stand-in. What do we learn from this? Not that Coetzee is tired of writing, but that he is frustrated by the constraints of the traditional novel; that he has views he wishes to communicate to us, not necessarily obliquely; and that he seeks to understand himself by creating characters that are little more than ciphers, and viewing them through the eyes of other characters. This last point in particular feeds into Summertime, which covers the years 1972 to 1977 when Coetzee returned to South Africa after spending some time in America. The novel is presented largely as series of interviews conducted by a researcher into Coetzee’s life who is planning a book. These interviews are presented in what we are encouraged to feel is an unedited form, that is, closer to the truth. Alongside the interviews, book-ending the novel, are some fragments from Coetzee’s notebooks – each followed by a note suggesting what he intends to develop to produce what this volume would have been had it followed in the pattern of Boyhood and Youth. This is one of the few examples in the novel of Coetzee the writer – most of the interviewees have little idea of or interest in this side of him. Clearly writing is very important to him at this time (Dusklands, his first novel, is published) and a narrative where he was the central character would have focussed on this. Instead, this is the story of Coetzee the man – and, so we are led to believe, not much of a man. Coetzee is not so much presenting the different views of three women, as one view channelled through the three characters, a view that is far from flattering. Coetzee’s apparent obsession with himself in his recent fiction does not rise from arrogance; on the contrary, he seems to be presenting a harsher picture than would be normally felt fair. (I don’t mean fair to Coetzee, whom I do not know, but fair compared to what we would expect from someone trying to be truthful) In his experimentation in search of the truth, Coetzee is beginning to remind me of B. S. Johnston – though whereas Johnson was surprised when he wasn’t seen as a great writer, Coetzee – or certainly his characters – seem surprised when he is. This painful exposure of an emotional lack is both repulsive and fascinating – like a child picking at a scab. However, this is not an ego-centric novel, and what made it, for me, probably his best since Disgrace, is the way in which he reveals through the interviews, the lives of his female characters. Julia talks as much about her marriage as her affair; similarly, Margot talks about her own marriage and that of her sister. Adriana discusses the problems she faces when her husband is gravely injured and eventually dies. All three talk about the way children, or the lack of them, affect their lives. If Coetzee does anything to prove that he does not lack the empathy suggested, it is in his portrayal of these women. When you put this beside a portrait of 1970s South Africa and the changes it was already undergoing – exemplified, in many ways, by Coetzee’s father – you have a very rich novel that only a number of readings will do justice to. Don’t be put off by the label ‘experimental’, or the lack of a linear storyline. This is a novel that tells many stories, and all of them are worth hearing. You are currently browsing the archives for the J.M. Coetzee category.